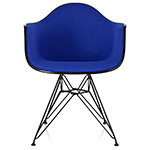 With the molded plastic, fiberglass, and wood shell chairs -as well as the wire chair- the Eames' have created a universal response to what everyone wants from a chair: a simple, gracious form that fits any body and every place. 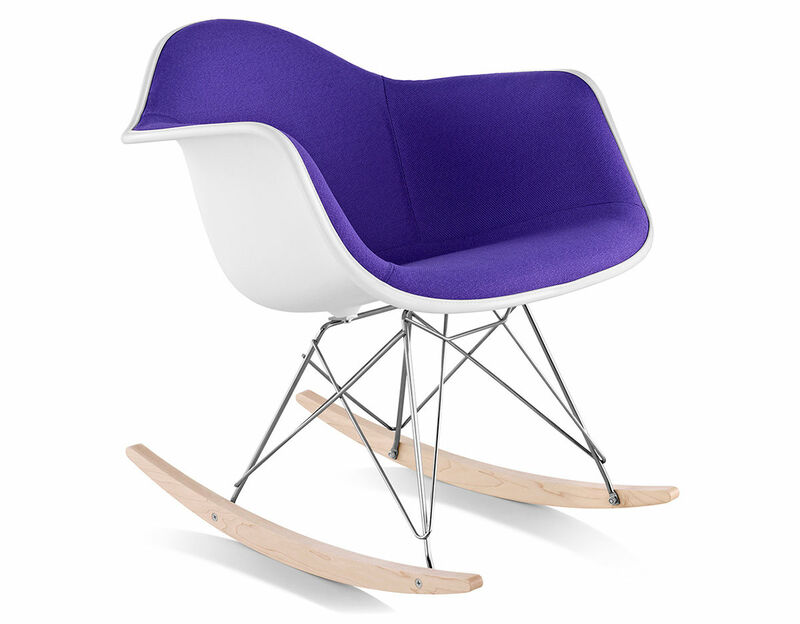 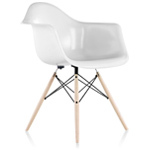 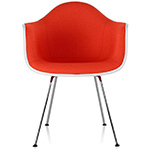 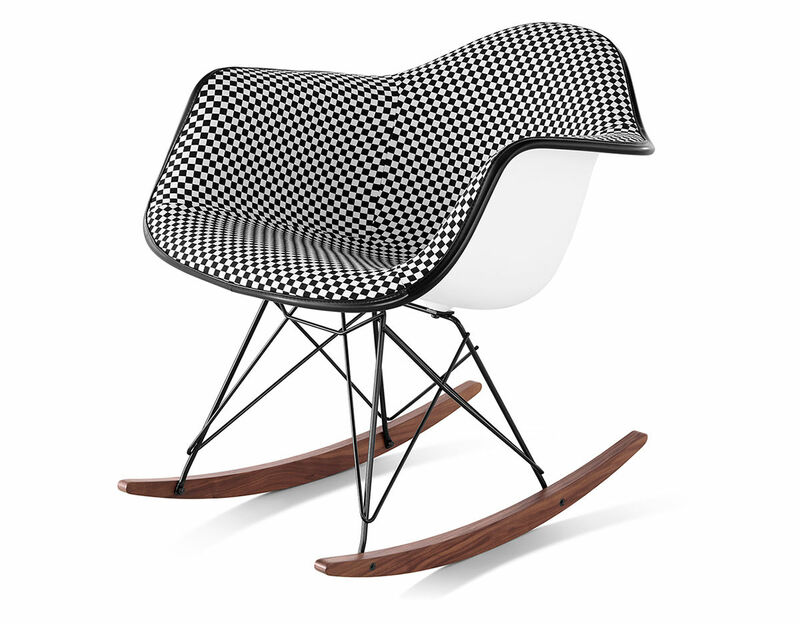 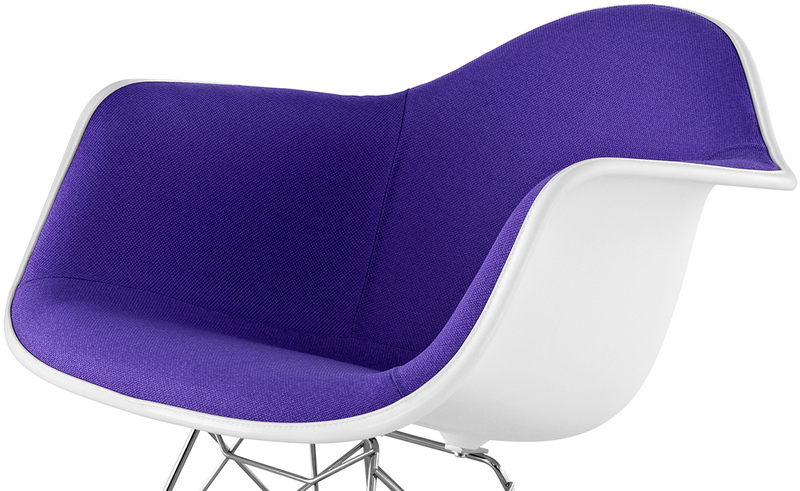 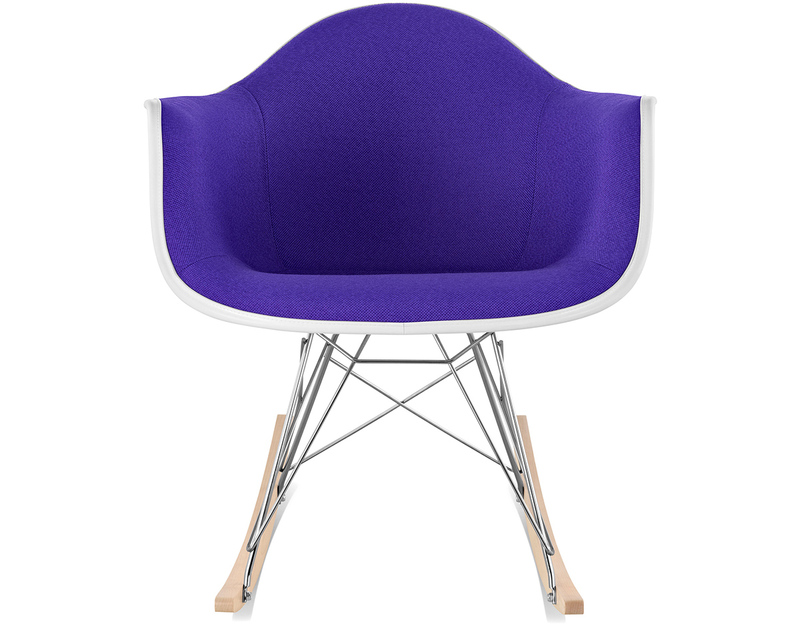 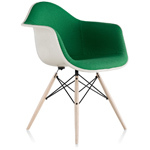 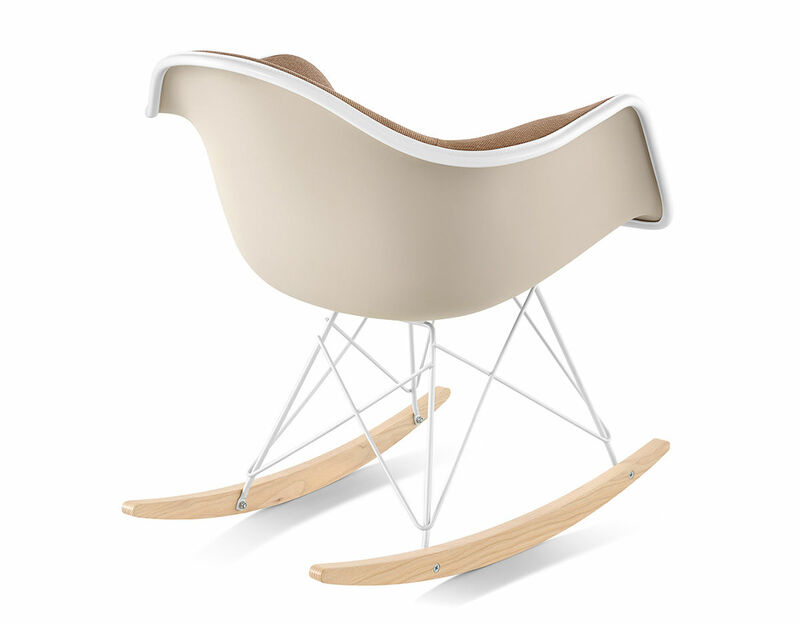 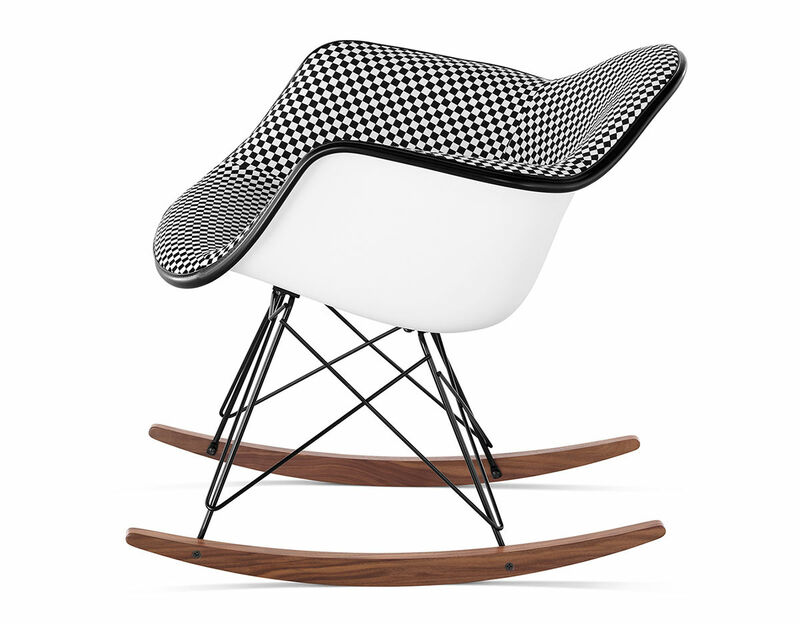 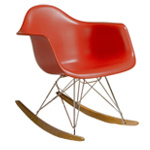 The Eames armchair with rocker base is only available with a plastic shell with or without upholstery. 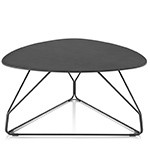 $885.00 + free threshold delivery in the continental US.